My workshop is quite small. 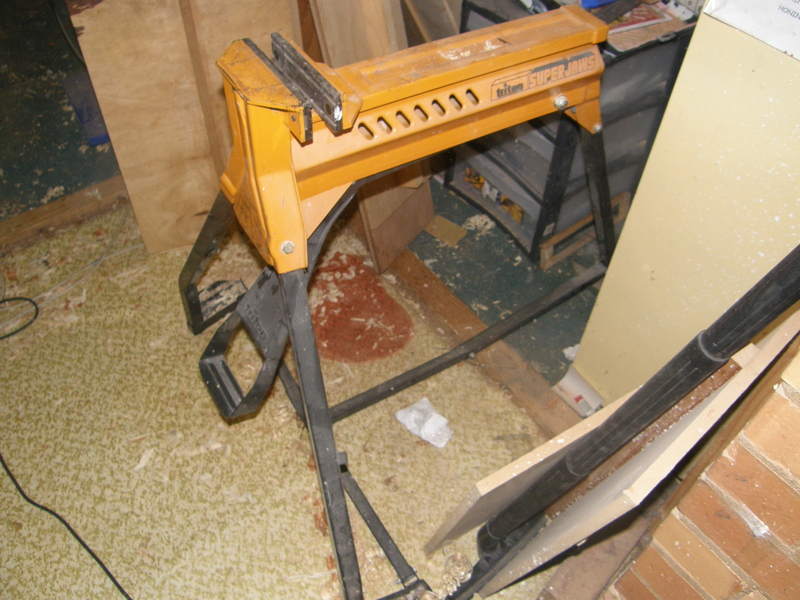 I’ve developed a system where I use specially designed plywood worktops that clamp into a pair of Triton Superjaws – for each new part of construction I swap the worktops around. 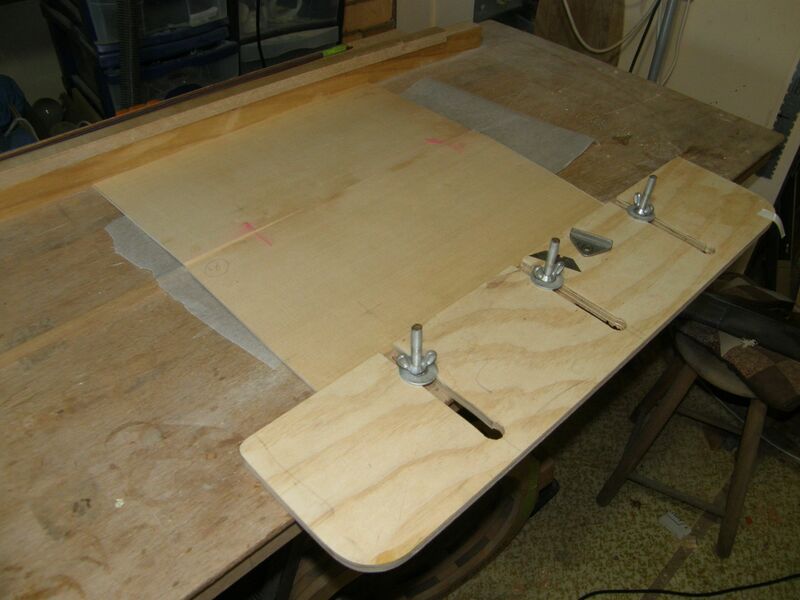 Today I had my shooting board in one Superjaws and a jointing table in the other, which is what I do when I’m joining two panels along the centreline to make a back or top plate. Sometimes the joints fit together like magic, but today wasn’t one of those times. I was putting together the top plate for my new baritone guitar and getting no cooperation at all from the pieces. I was considering sending them to stand in the corner until they were ready to behave respectfully. “King Canute,” said a voice from behind me. I spun around. Siting on the shooting board was a small female personage with gauzy wings. She was wagging her finger at me. She was impossible, so I didn’t see her and spun back again. I turned back to her slowly. “I have no idea what you’re talking about,” I said. “Yes you do.” She looked around my workshop. “Messy,” she said. “Well, at least it exists,” I said cleverly. The Top Joint Fairy was examining her fingernails, as if there might be some tiny flaw in their perfection. I was boring her. Okay, I didn’t really get a visit from the Top Joint Fairy. But this method works, so I may as well have. This entry was posted in Gore and Gilet, Heavy-handed humour, Uncategorized and tagged good top plate joints, top joint on March 29, 2019 by Michael Williams.